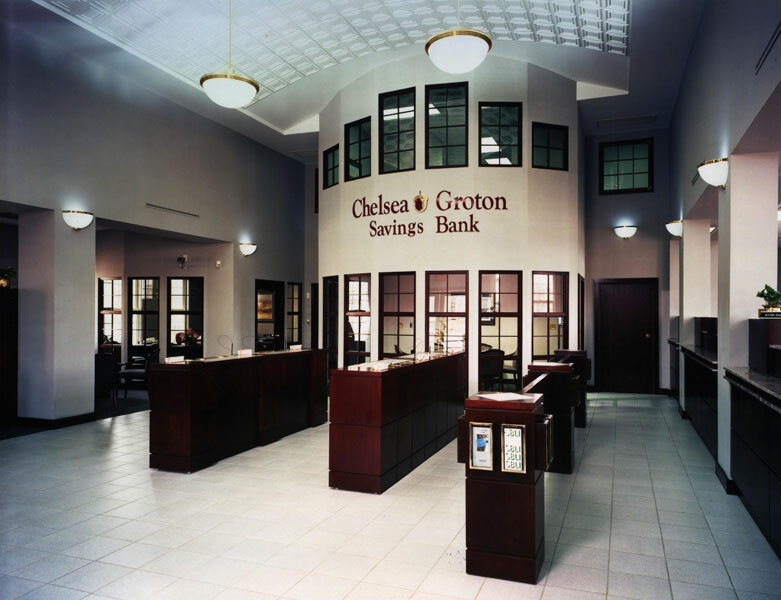 Design new banking facility in North Stonington whose large open banking retail space is distinguished by an innovative vaulted ceiling made from a suspended ceiling system but with a coffered ceiling affect. 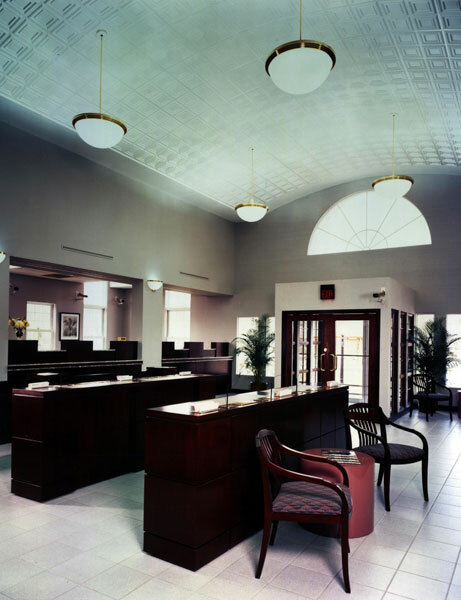 The interior is finished with marble and finely crafted millwork. Design new retail facility in Norwichtown within an existing strip mall. The program calls for all interior furniture and finishes to be movable so that the bank could be packed up and moved without much difficulty to another mall space if required.